The Woodmark at Uptown in Albuquerque, New Mexico, is an Assisted Living Community specially designed just for your needs. 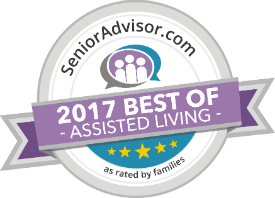 We offer Assisted Living with two additional, specialized levels of Albuquerque Memory Care for Light Dementia Care and Acute Dementia/Alzheimer’s Care. Our experienced and caring staff gets to know our residents on more than a clinical level. 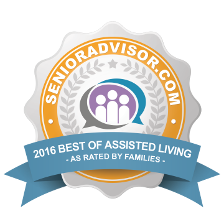 We are committed to providing the appropriate level of care that allows our residents to live life to the fullest. 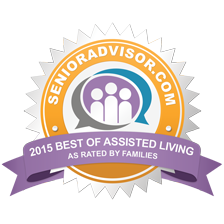 Our residents are the most important people, and our staff knows it! We are proud to have the highest licensed nurse-to-resident ratio of all our competitors. Our staff is dedicated, professional, and friendly. Care plans are always individualized to each resident, because keeping you happy and healthy is what our staff lives to do! At The Woodmark at Uptown, supporting your independence is our number-one priority. Here, we encourage our residents to enjoy themselves in our newly renovated facilities. Enjoy a freshly prepared meal in our dining room, or stroll over to our theater, library, fitness room, hair salon—there is truly something for everyone. From your needs to your wants, The Woodmark at Uptown is here to help you seize the day. Our Albuquerque Assisted Living residents and residents’ families receive valuable peace of mind knowing that care staff is available 24 hours a day. Our nutritional program is designed to strengthen the immune system by focusing on hydration, fresh fruits and vegetables, whole grains, and no added salt. Our caring, experienced staff is here to deliver detailed care to our residents on a personal level that goes beyond the clinical. While some communities insist on new residents paying huge, non-refundable payments up-front, we like to do things a little differently. We care about not only the physical and emotional well being of our residents, but their financial health as well. That’s why we offer our residents all the perks of country club living without the expensive buy-in—just a simple lease. Residents can choose from studio, one-bedroom, or two-bedroom floor plans, described in greater detail below. Explore nearby cities like Rio Rancho. Executive Director Laura Miller RN of 28 year. Seventeen years of Executive Management in the Healthcare industry. Fluent in Spanish. My mother is at The Woodmark at Uptown. The place is clean. They are very personable, and the location is absolutely excellent. It’s near all commerce, shopping, and doctor’s offices, so the nurses can walk the residents over. Inside the facility, the activities don’t seem to be extensive. The Woodmark at Uptown was a nice place. The staff was very friendly and professional. The rooms were of an excellent size, spacious, and had a homey feeling.